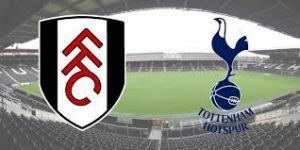 Fulham hosts Tottenham Hotspur in a game from the 23th round of the English Premier League. Let’s take a look at this fixture at the Craven Cottage on Sunday afternoon. Fulham continue to fight against relegation. Right now Cottagers are 19th in the standings with 14 points won and a record of 3 wins, 5 draws and 14 losses. After the appointment of Claudio Ranieri they managed to win some important points, but they are still on 5 points behind the 17th Cardiff City and the safe zone in the league. In their last five games Fulham won once, made two draws and suffered two defeats. These two losses came in two consecutive matches – against Arsenal and Burnley. Surely the manager Claudio Ranieri has a lot of work to do in order to secure the survival of his new team. In Fulham’s last game they suffered a 1-2 defeat during the visit to Burnley – another struggling team since the start of the season. The game started in a brilliant way for Fulham, because Andre Schurrle scored after just 2 minutes of playing. But Burnley managed to turn the game around, thanks to a goal from Jeffrey Hendrick and an own goal of Dennis Odoi. Tottenham on the other hand are 3rd in the league standings with 48 points won so far. Their record in the league shows 16 wins and 6 losses. Spurs are the only team in the Premier League without a draw since the beginning of the season. In their last game Tottenham suffered a defeat, being beaten by the visiting Manchester United at the Wembley. Marcus Rashford scored the only goal in Hugo Lloris’ net. That’s what we had to say about the Premier League clash between Fulham and Tottenham at the Craven Cottage in London.